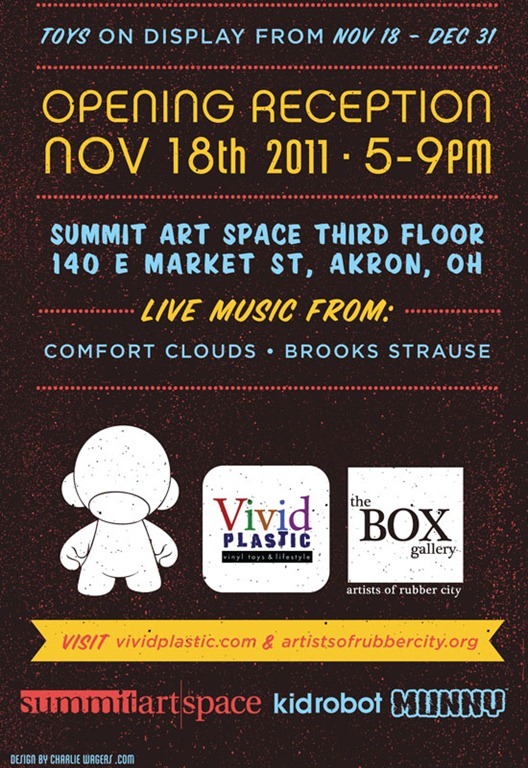 This Friday, November 18th, Akron will host the art show, Paper or Plastic. The show will feature the talents of over 30 artists showcasing their talents using Kid Robot's Munny. Viviid Plastic is hosting the show which will be held at The Box Gallery. Some of the featured artists include: Jeff Lamm, Charlie Wagers, Kristi Wall, Hui-Chu Ying, Donna Webb, Mark Soppeland, Bonnie Stipe, and our very own Vince Rinaldo. Vince is the creative genious behind the Zombies & Toys and is responsible for our graphic design work. 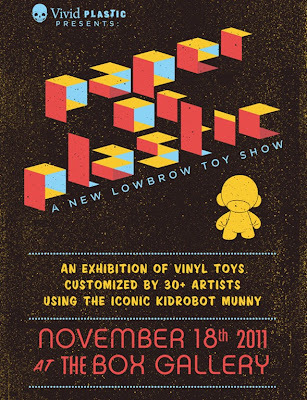 The toys will be on display until the end of the year but the opening reception is this Friday from 5-9. If you are in the Akron, OH area, stop by and meet the artists. Yours truly will also be there and in typical fashion, I will be handing out ZT swag. We'll see you there!